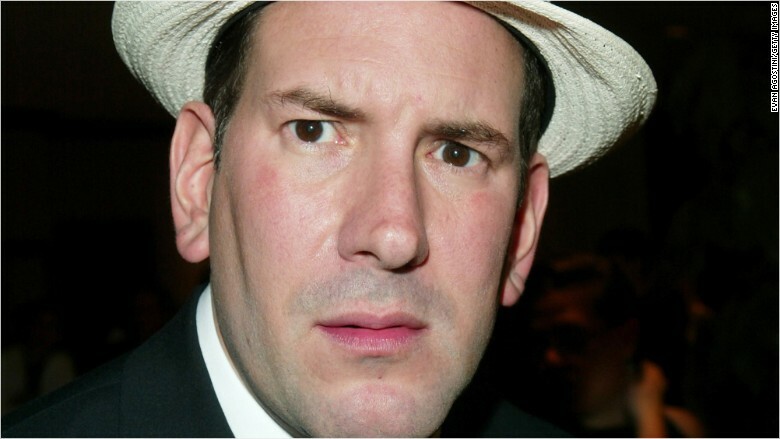 Conservative media entrepreneur Matt Drudge gave a very rare public interview on Tuesday in which he lashed out at Hillary Clinton, mainstream media and the uniformity of American culture in the digital age. The exchange provided a glimpse into the mind of one of the most influential yet reclusive figures in American political media today. In a rambling, wide-ranging discussion with Alex Jones, a radio show host and conspiracy theorist, Drudge admonished "the sickness of the American people," who he said were forfeiting individual thought and becoming slaves to Internet companies. Blind to the realities of the current political situation, Drudge said voters were now likely to install "Hillary's brain in the Oval Office in a jar." The founder of the Drudge Report also called Clinton "old and sick," and blamed the media for covering up stories about extramarital affairs. "Why aren't we seeing Hillary's lovers?" Drudge asked Jones. "Why aren't we seeing Hillary's lovers?" The nearly 45-minute rant oscillated wildly between familiar critiques of the establishment and paranoid conspiracy theories with little basis in reality. At one point, Drudge suggested that the Obama administration came up with the name "ISIS" -- for the Islamic State in Iraq and Syria -- because it sounded like the last name of Rep. Darrell Issa, the Chairman of the House Oversight and Government Reform Committee. Drudge also refused to appear on camera for Jones' live stream, his disembodied voice issuing pronouncements, Wizard-of-Oz like, from beyond the void. "You're playing in Google's Hell pit!" Drudge said of people who used various digital and social media services, instead of creating their own individual platforms on the Internet. "The Internet is what you make of it." Drudge has wielded immense influence over American political media for two decades. In 1995, he launched The Drudge Report, a simple webpage that aggregates the day's news under sensational headlines, often fueling conservatives' worst fears about the left, the media and, at times, the decline of American civilization. The Drudge Report's obituary has been written many times by members of the mainstream media, and yet Drudge Report always reasserts its influence. The site draws more than 2 million unique viewers a day and remains the No. 1 site for referrals to political news sites. Getting "Drudged" -- that is, having your story linked to by Drudge Report -- remains one of the most coveted goals for media organizations seeking web traffic. But Drudge's influence goes beyond that: Politico, which recently named Drudge one of the top 50 most influential figures in American politics, notes that Drudge "helps to write the narrative" of each presidential campaign -- which is why his critiques and conspiracy theories about Hillary Clinton are so notable.